Submitted by Fred on Sun, 08/11/2013 - 4:09pm. 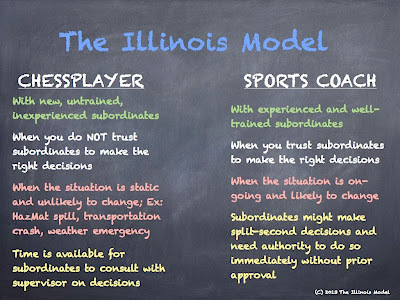 Some more interesting thinking from Louis Hayes purveyor of The Illinois Model. Here he talks about the balance of linear thinking for the technical problems (Chess player) and nonlinear thinking (Coach)for the adaptive problems we in law enforcement face. As with most we do in law enforcement there is a balance to be struck if we are to be successful. Thanks to Louis for allowing us to post here! Over the course of the next few weeks, I will be re-engineering Police Incident Command according to The Illinois Model law enforcement operations system (LEOpSys). Most of the ideas aren't earth-shattering, but they suggest some small adjustments to the nationally-mandated program. These first several posts lay some foundation into our vision of what IC should be. Police response runs the spectrum from fast-paced dynamic actions to slow and static deliberations. The threats and dangers are what dictate the necessary speed of the officers (speed is synonymous with: intrusion, aggression, or force). Police options run along aspectrum of strategies, bookended by The Illinois Model's Act and Stabilize. Louis Hayes is a co-developer of The Illinois Model™ law enforcement operations system (LEOpSys) and moderates several courses rooted in its theory and concepts. He is a 15-year police officer, currently assigned to a multi-agency tactical unit in Chicagoland. Playing baseball as a boy, he was a catcher. The so-called "Field Commander" position is one that both calls plays as they quickly unfold in front of him, as well as making deliberate decisions throughout the rest of the game. 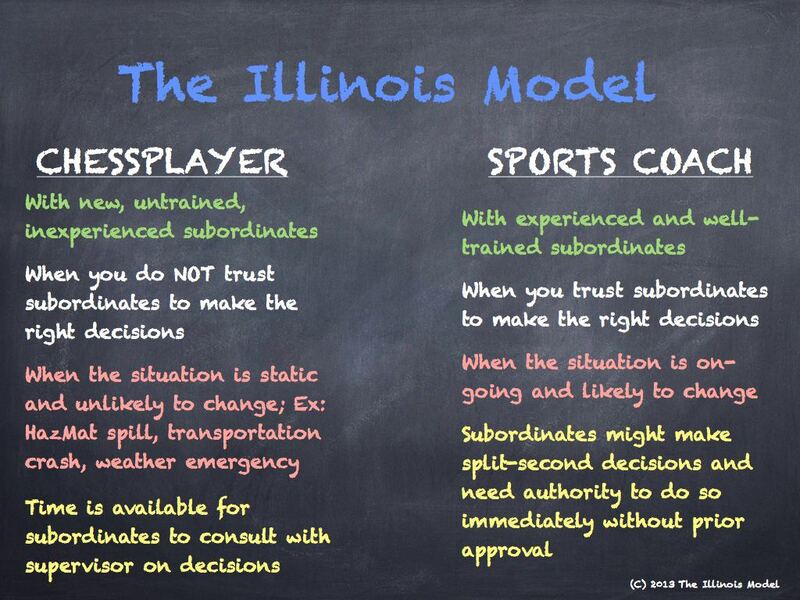 A full compilation of articles on The Illinois Model can be found here.